So you’ve decided you’re ready to do something once and for all to get your melasma under control, and you’re wondering what laser will work best for you? 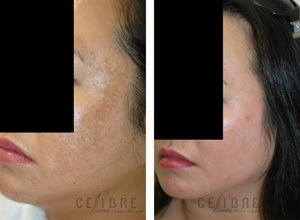 Well, at Celibre, we have spent over a decade working on developing effective treatment protocols for melasma. And we’ve tried just about everything! With over 20 state-of-the-art devices at our disposal, we’ve run the gamut of technology-based treatments and found that none of them really work entirely great! 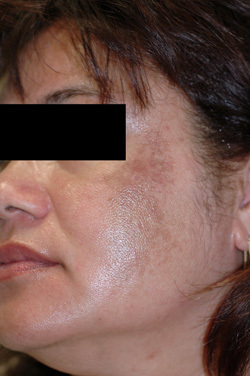 Yes, we are telling you that as laser specialists, we believe that lasers don’t work for melasma. In fact, they can make it worse! Unfortunately, through the years we’ve seen some of our patients get worse rather than better when treated with lasers – almost half to be exact. In the other half that did see some improvement, it was extremely short-lived. Most women only saw their melasma improve for a few weeks at best and then they were right back where they started. 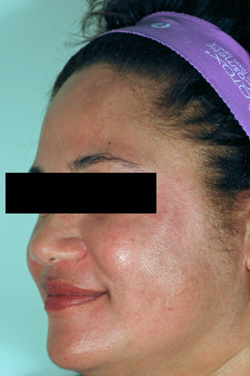 Our approach is to maximize topical treatment for melasma. We’ve developed a highly successful regimen based on hydroquinone, or bleaching medication, that is applied directly to the skin. And this isn’t the type that you can find at the local pharmacy store on the corner. Those are lower strength (around 2%) products. We use prescription strengths of 4-8% in our formulations. We’ve also honed in on how to deliver this mediation to the skin to make it more effective by incorporating it into a liquid gel that powerfully and effectively gets the hydroquinone where it can do the most good. To ensure your safely using this higher strength hydroquinone, we will recommend a “three month on and one month off” approach. This ensures that you will enjoy all of the benefits of treatment while minimizing any potential (albeit rare) unwanted side effects. Come see us today for your free consultation. Let us help you get on the road to clearer, fresher looking skin. We’ve helped thousands of melasma patients in the Los Angeles and Orange County area and we can help you too.